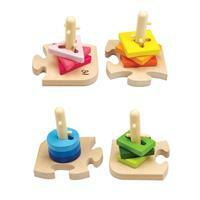 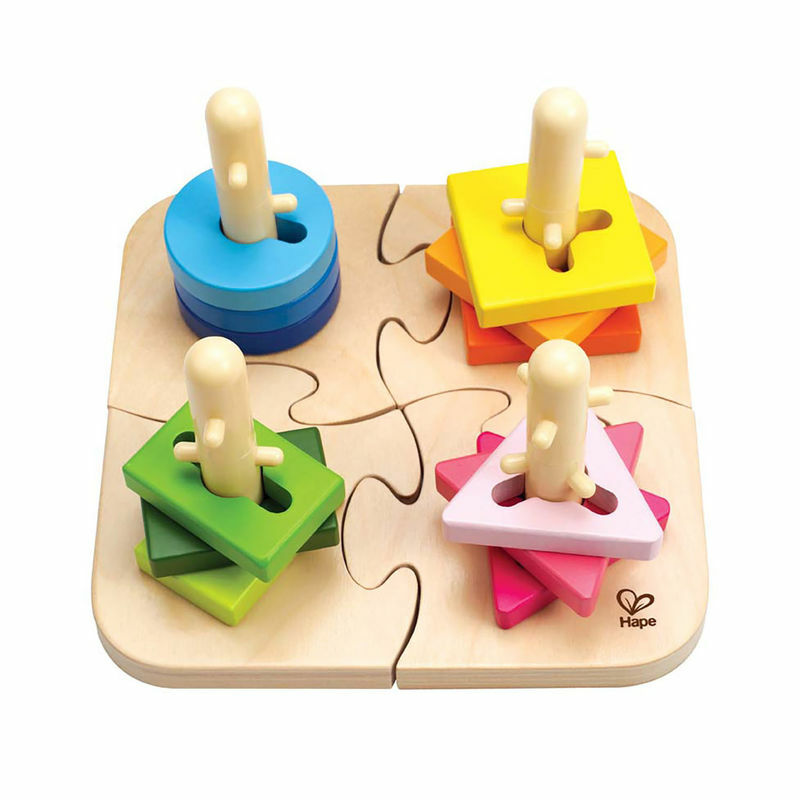 Grooved shapes and pegged posts add an extra dimension of challenge to this colorful, creative stacker puzzle by Hape. 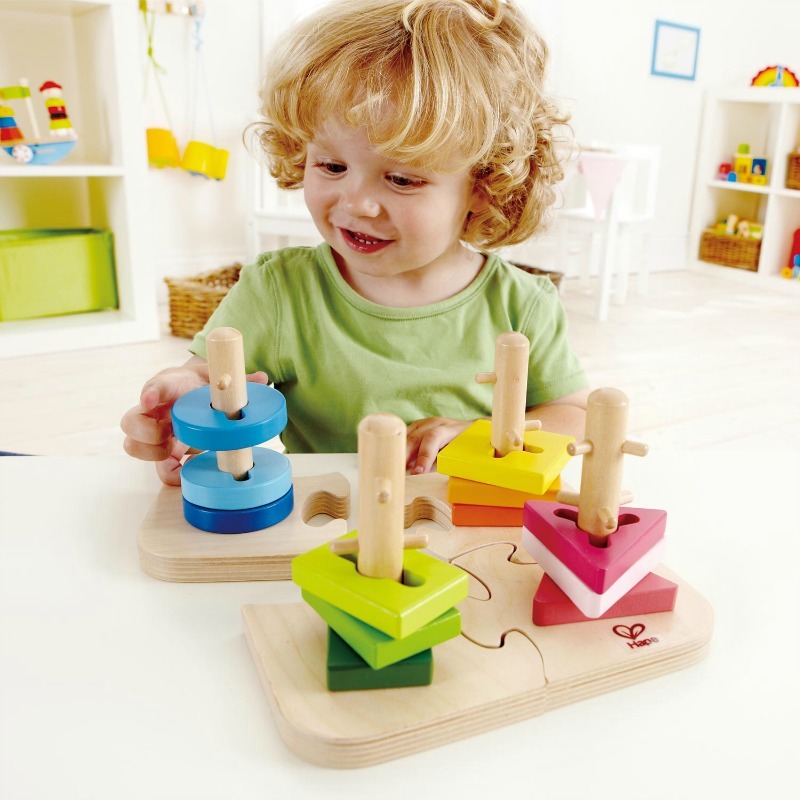 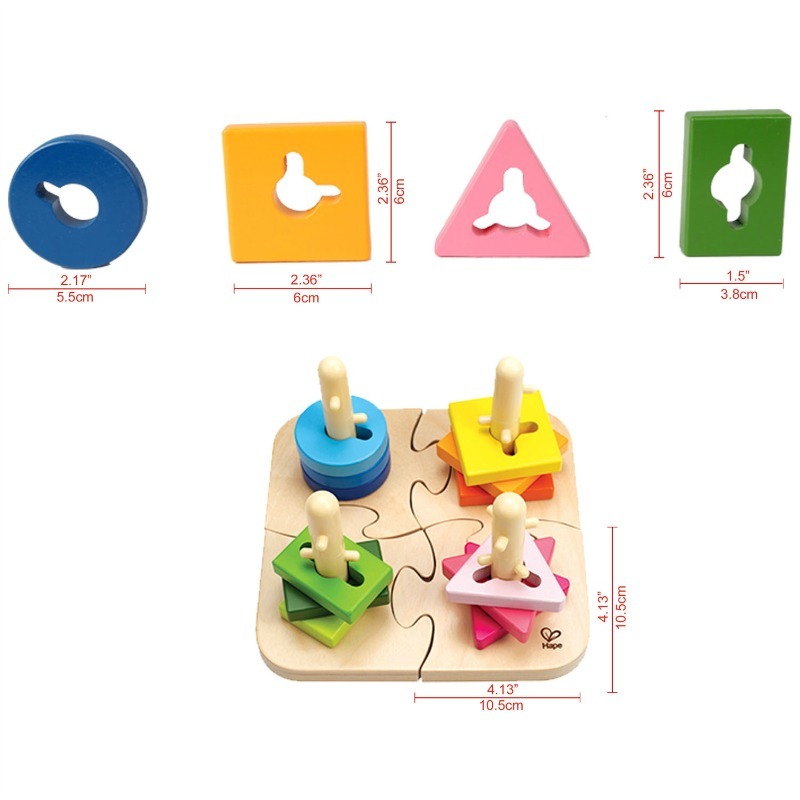 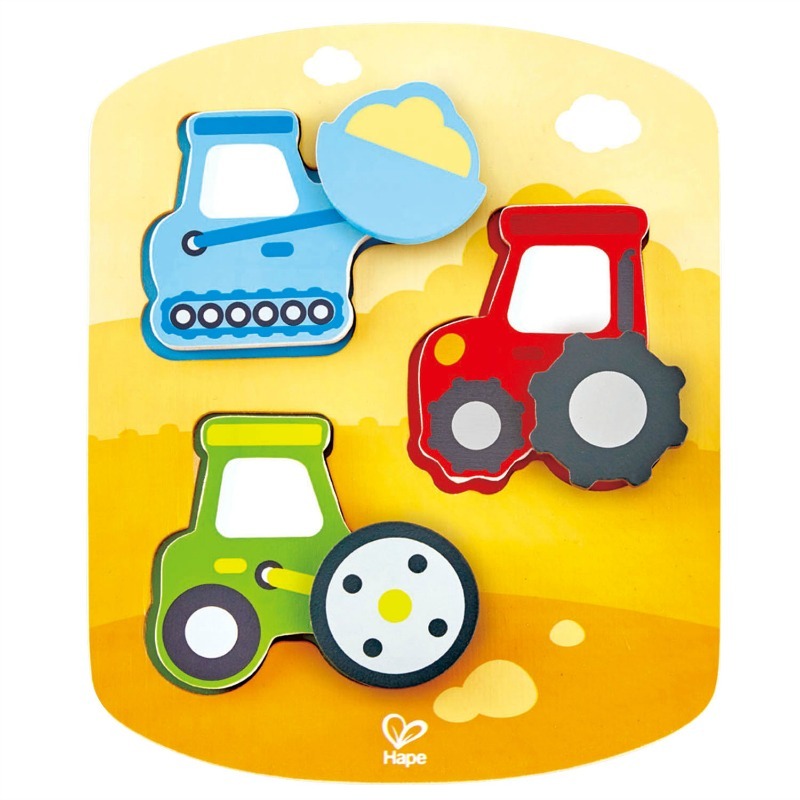 Hape Creative Peg Puzzle is a lovely alternative to the basic shape sorter, peg puzzle and stacker, almalgamating all the ideas into one challenging toy. 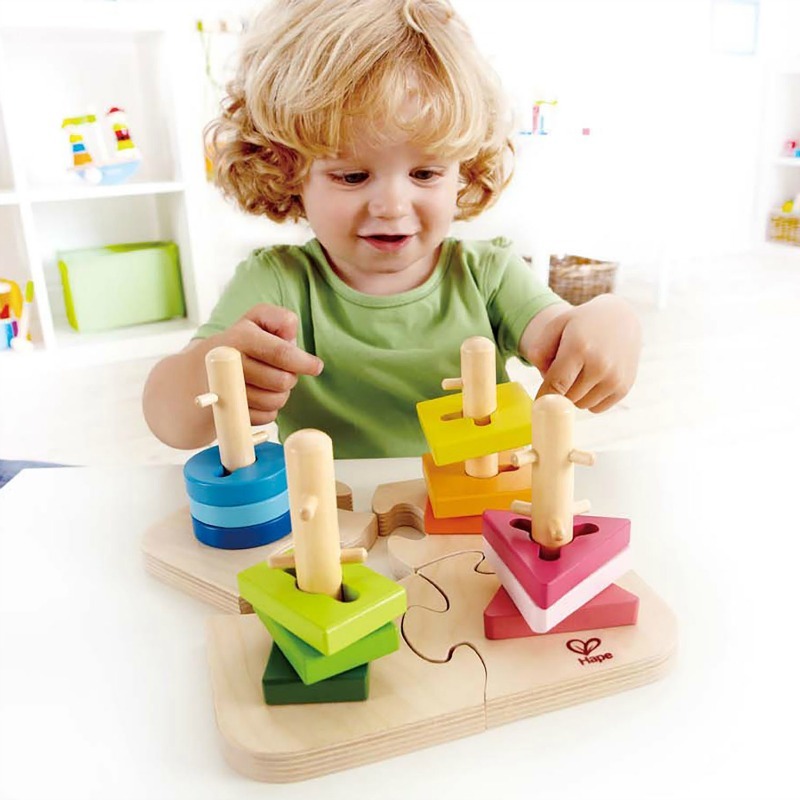 Problem Solving: Introduces logic, matching, spatial relationships, critical thinking and an understanding of cause and effect. 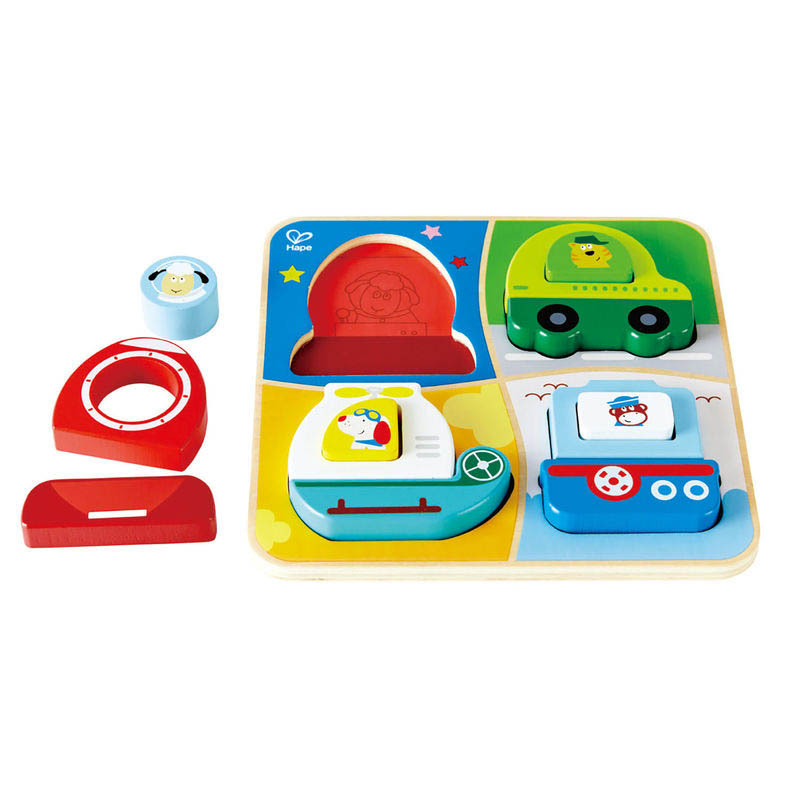 Measures 13cm H x 20cm W x 20cm D.